• 180 miles, from Kansas City to Pineville, completed 12/12/12 ! • 6 miles of Bella Vista Bypass still to be completed; est. $25 M needed. 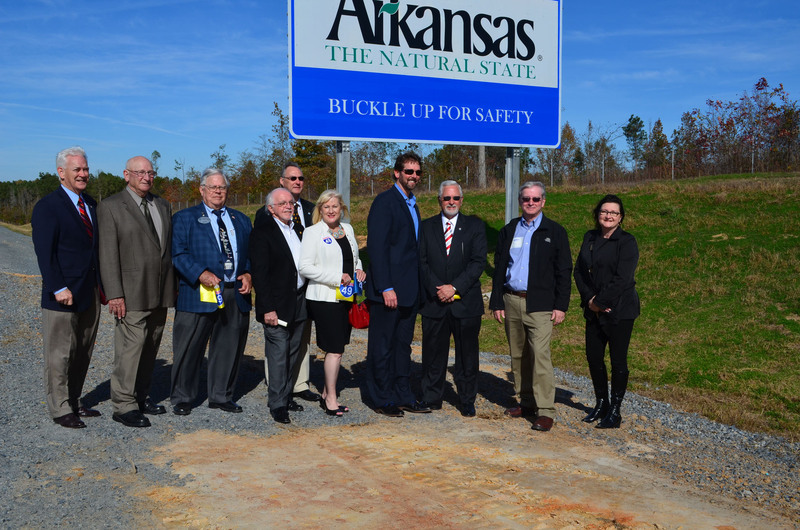 • A 14 mile, 2-lane portion of the Bella Vista bypass is being built, partially funded from the 10-year ½ cent sales tax for highways approved by Arkansas voters in 2012. When an additional $50M is obtained, the Bypass will ultimately be 4-lane and will be renamed I-49. • The new sales tax is also helping to expand Hwy 540 to 6 lanes between Fayetteville and Bentonville, and Hwy 540 has been renamed I-49 ! • 180 miles, Texarkana to Fort Smith, still needs $2.5 B funding. • The Hwy 549 Eastern Loop around Texarkana opened 4/30/13. • The 4.4 miles extending Hwy 549 from Doddridge to the Louisiana border opened in a joint ceremony at the Arkansas/Louisiana border on November 10, 2014. Hwy 549 has now been renamed I-49 ! NW Louisiana: • The 30 miles from Hwy 1 in Shreveport to the Arkansas border, was opened in the joint ceremony on November 10th ! • The I-49 approach and the Interchange at I-220 in North Shreveport went to bid in early 2014 with an estimated completion time of three years. • The environmental process on the Inner-City Connector through Shreveport is to move forward, with public meetings in 2015. ICC cost is estimated at $250-300M. South Louisiana: • The 160 miles of US 90 from Lafayette to New Orleans is being converted to I-49 South. One hundred miles is complete to Interstate standards, and there are currently 6 projects in various stages of planning and development along the I-49 South corridor. • LA DOTD is advertising for review of the EIS in order to reduce the remaining costs for I-49 South to around $1.5 B.